American Fact Finder – Data available from the U.S. Census Bureau. Though the site can be difficult to use at times, it contains a wealth of data. Adherents.com | North Carolina – Data on religious affiliation within North Carolina. Association of Religion Data | Maps | North Carolina – Maps illustrating religious adherents in North Carolina. City-Data | Races in Charlotte – City-Data.com provides extensive statistics on the demographics of states, counties, cities, and zip-codes. This is City-Data’s page on races in Charlotte. Charlotte International Cabinet | Charlotte Facts – Information from the Charlotte International Cabinet. Ethnologue – Information on the languages of the world. International Mission Board | People Groups – The IMB’s resource website on the people groups of the world. Joshua Project – Helpful resource on discovering and learning about the people groups of the world. Migration Policy Institute | North Carolina – Migration facts and stats on North Carolina. 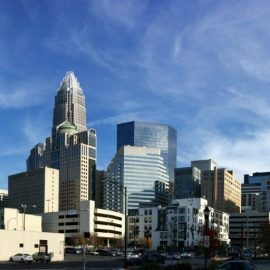 Nation Master | Charlotte, NC – Encyclopedia page on the city of Charlotte. Pluralism Project | Resources by State – Click on North Carolina for the Pluralism Project’s resources concerning the various religions represented in North Carolina. Population Reference Bureau | Charlotte, NC – Date from the Population Reference Bureau on the city of Charlotte. Click here to download the Tier 1 Profile of Charlotte-Gastonia-Rock Hill, NC-SC Metropolitan Statistical Area.